Specialty Products Inc. Announces 2016 International Distributor Awards – Specialty Products, Inc.
Lakewood, WA – Specialty Products, Inc.’s (SPI) Distributor of the Year Award is an extraordinary achievement. It is with great pleasure that Specialty Products, Inc., (SPI) recognizes and congratulates SPI Performance Coatings, Ltd of The UK for their remarkable achievement in earning our 2016 Distributor of the Year Award. Their focus on continual growth, exemplary customer service, and advanced technical support has earned them Distributor of the Year for a third time in the past four years. 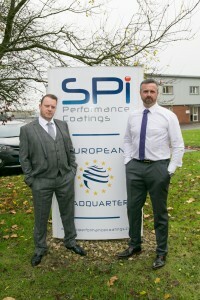 SPI Performance Coatings, Ltd joined Specialty Products’ network in 2012 to promote product awareness, and readily supply clients throughout The UK and all of Europe. SPI Performance Coatings’ involvement, expertise and longevity in the coating industry, sets them apart from other coating suppliers in Europe. 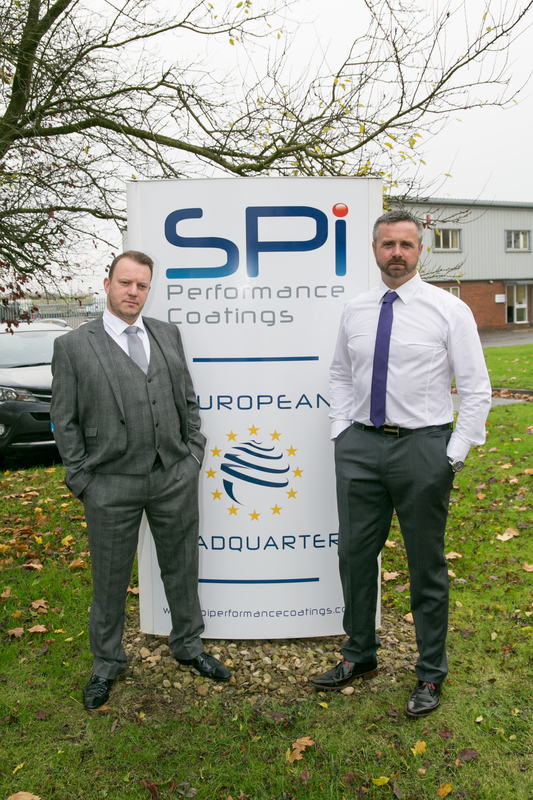 With the ability to service all of Europe, SPI Performance Coatings, Ltd is based in Purton and maintains a vast inventory of Specialty Products’ coatings. SPI Performance Coatings, Ltd is privately held and was established by Marcus Lockett, one of the UK’s most prolific polyurea contractors. Combined with the talents of Richard Atkinson and the entire SPI Performance Coatings’ team, they have the diverse and essential skills to bring together a multi-disciplined, multi-faceted, customer focused distribution centre. The company’s core foundation is based on simple founding principles – honesty, loyalty and integrity. Specialty Products, Inc.’s Excellence in Distribution Award recognizes an independent distribution organization that has demonstrated excellence in the categories of management, leadership, customer relations, and surpassing their annual sales goal. The 2016 award is presented to Aquatic Constructions AC LTD CYPRUS. Aquatic Construction AC LTD CYPRUS is also the recipient of SPI’s 2016 Best Newcomer Award. Aquatic Construction’s involvement and proficiency with polymers, coupled with their incomparable dedication to continual Polyurea education and on-site consultations has put them at the forefront in the coating industry in the Middle East. 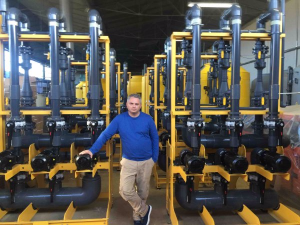 Joining Specialty Products’ network in 2015, Aquatic Construction AC LTD CYPRUS provides services throughout the Middle East, and is led by Managing Director, Vassilis Sklavounos. Since 1974, Specialty Products Inc. (SPI) has continued to be a premier manufacturer of spray-applied Polyurea Elastomers, Polyurethane Foams and custom Plural Component Equipment. Headquartered in Lakewood, Washington, SPI also has operation centers in Rowlett Texas, Chicago Illinois, and Anchorage Alaska. We provide our clients with a one-stop shop solution through manufacturing our own products and equipment, providing 24/7 technical support, and world renowned applicator training classes. Our unique testing environment allows our chemists to rapidly produce and test product variations, and quickly bring them to market. This ensures a product that is formulated with the exact physical properties to meet your individual project needs. 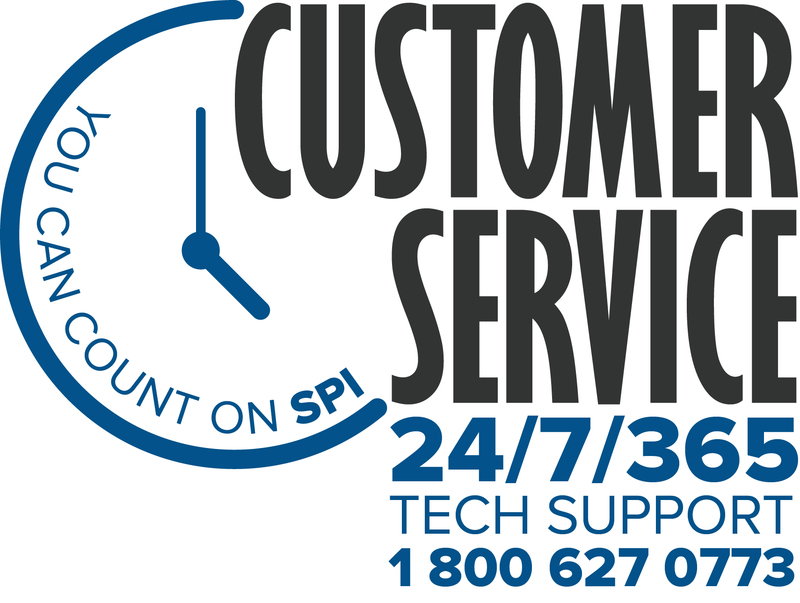 SPI provides superior technical customer service and strives to be on the cutting edge of the latest industry technologies. Our qualified personnel provide comprehensive, hands-on training classes to educate clients, contractors, fabricators, and OEM engineers on how to properly use plural component spray equipment and apply all of our products.